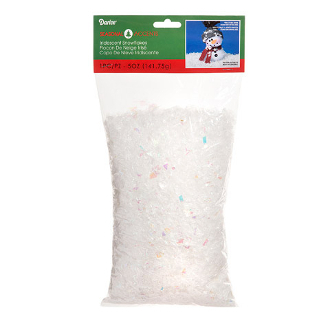 Large 5Oz Bag of "Fairy Snowflakes for Miniature Fairy Gardens. Scatter throughout your garden! Easily vacummable to clean up. Irradescent flakes abound in this for wonderful sparkle!